This article was posted on 30th August 2018. Guest blogger Fred Latty explores how the pieces we put in our homes have the potential to rival the finest artworks and masterpieces. Art has long been an integral part of interior design, as paintings, sculpture and glasswork continue to captivate homemakers and designers alike. But what happens when furniture and furnishings become just as prized as the frames and canvases that hang on our walls? Visual sensations that are the living expressions of our personal style and bring a big dose of happiness. 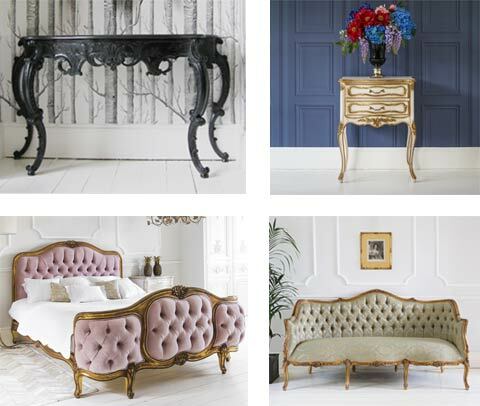 Whether you are considering luxury beds, French bedroom furniture, French mirrors or French chandeliers, there are a variety of factors that can influence how we might consider that latest dream purchase a work of art in itself. 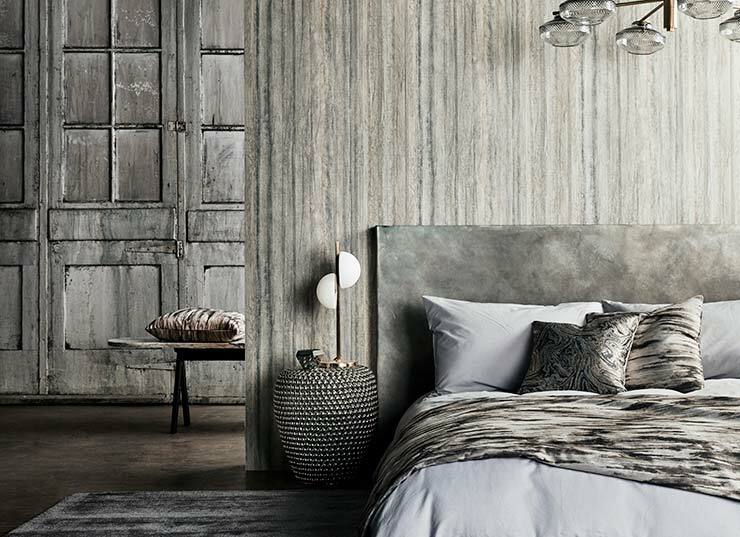 Enduring art transcends geographical borders - a quality that most certainly translates to interiors. Take Anthology’s 05 collection: Inspired by the pleats, folding, form and structure of origami, these innovative wall-coverings are targeted at a wider international market. Rich colours are added to the brand's trademark European influences for a look and feel that oozes definition and texture; much like a great painting, it creates 'a distinctly cosmopolitan, global appeal'. These designs have a luxurious quality that serves as the perfect backdrop to well chosen artwork and French style furniture. Just as every artist needs their muse, equally creative interiors should evoke a similar sense of inspiration. 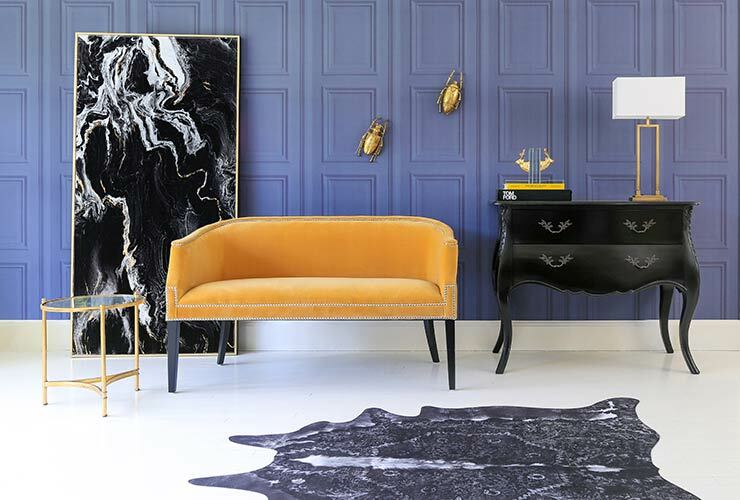 With its collection of The Muse, Zoffany captures the decadent, sophisticated and exuberant spirit of the 1920s, combining modernist style with fine craftsmanship and rich materials. The range tells the story of an imaginary muse and the art that she inspired, with many of its designs named after real-life artists’ closest sources of imagination. Consider these designs for a romantic backdrop for your French boudoir. From Michelangelo to Monet, the art world's icons have produced masterpieces that stand the test of time. 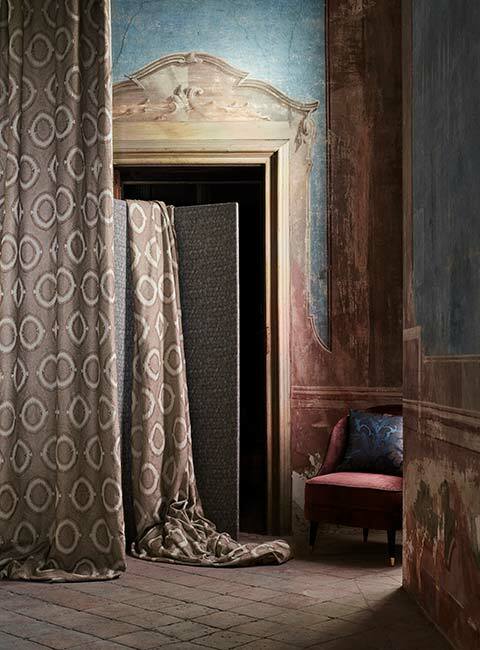 Harlequin encapsulates that same agelessness in its elegant Paloma collection, which comprises stylish woven fabrics and strikingly versatile wall-coverings. Merging ‘the softness and fluidity of modern lace with the angularity of architecture’, the nine fabric motifs and seven wallpaper designs fuse the artistic disciplines of fashion and architecture with calming, tranquil tones and lustrous finishes. Every room you decorate is a clean, white sheet of paper to make your own. Don't think of it as decorating; approach it as your masterwork, ensuring that your heart, soul and character go into every splash. Bespoke and tailor-made, Alternative Flooring’s Quirky B Liberty Fabrics collection will make any floor an extension of your taste and style, and can be accessorised to tap into that inner artistic flair. 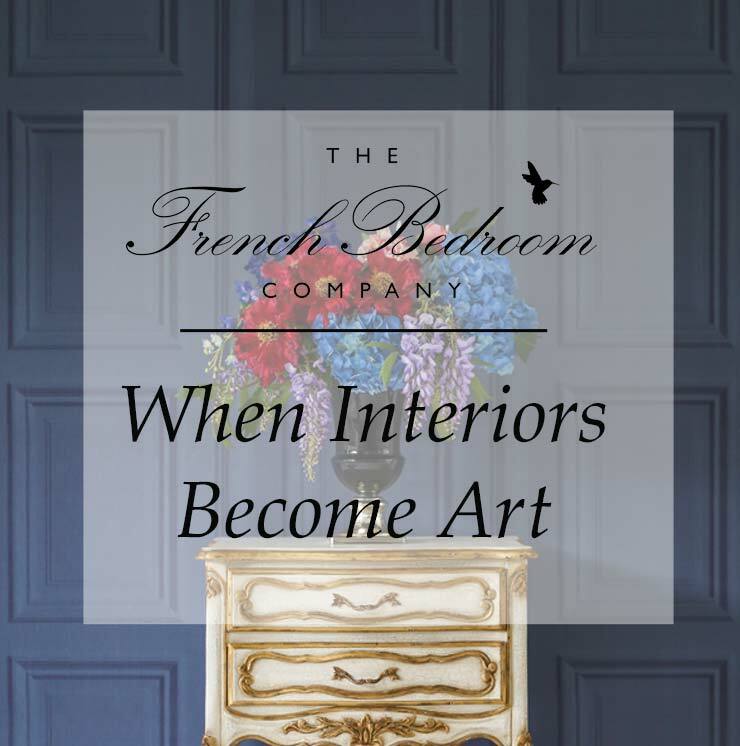 The French Bedroom Company is the epitome of exquisite design in French furniture and luxury furnishings, but we can also help you artfully adorn your rooms with art itself. Our range of French and contemporary wall art and décor is sure to add decadence to any boudoir, making a visual statement about you and your personality, and putting a stamp on a space that allows your tastes to shine through. From feathered metal wings to Crane wall art, there’s plenty of variety on offer, allowing you to express what your home means to you, and embrace your own individuality. Why have a simply functional bed when you can have a beautiful super king sized French bed? Why accept a basic console table when you can have one that's infused with rococo design, like the Sassy Boo Large Black Console Table? Compare a boring sofa with the majestic design of this Versailles Damask Sofa, and you can't fail to be spellbound by the timelessness of classic Louis design. Furniture should reflect your passion for life, and we admit to being more than a little obsessed with it. 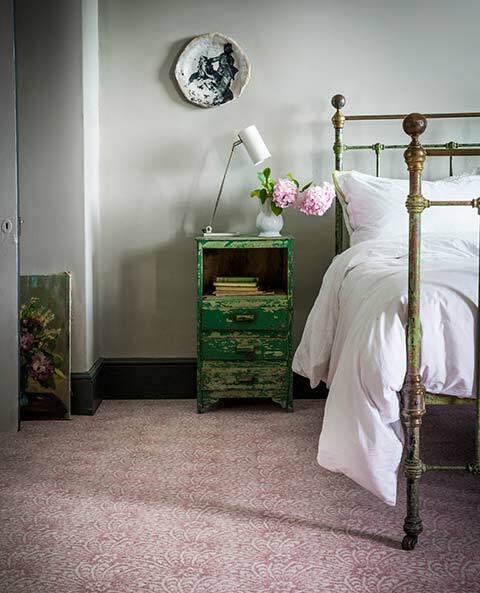 We love talking about shabby chic and French style bedroom schemes, so if you'd like help with ideas for your room, please feel free to contact us - we love to help our customers play with design, and to create amazing spaces in their homes. If you read this far, we know you find French design as inspiring as we do, so go create your masterpiece!